With the blessings of Sri Sri Sri Tridandi Chinna Jeeyar Swamiji. 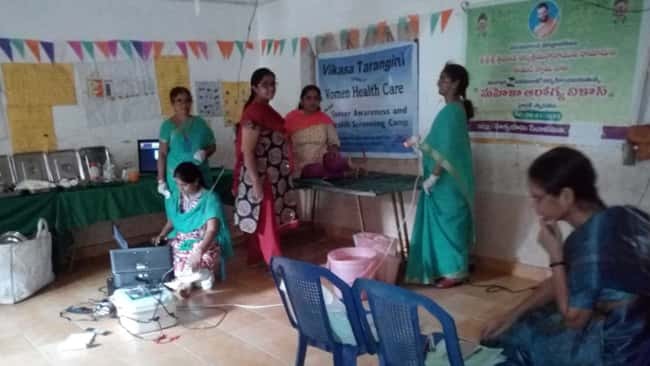 Mahila Arogya Vikas conducted Cancer awareness camp on April 15th, 2018 Sunday in Nizamabad district in Ibrahimpatnam Village, ZPHS School. The Camp was organized and coordinated by Jagan Mohan Reddy.Y and Padma.K, Laxmi.Y, Sulochana, Padma. 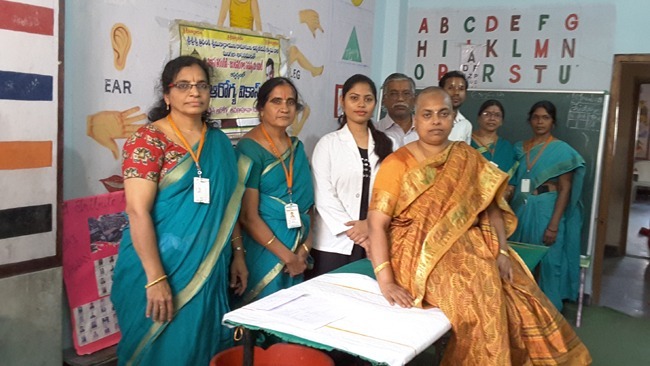 Dr.Ramadevi (gynecologist specialist in Nizamabad) visited this camp. 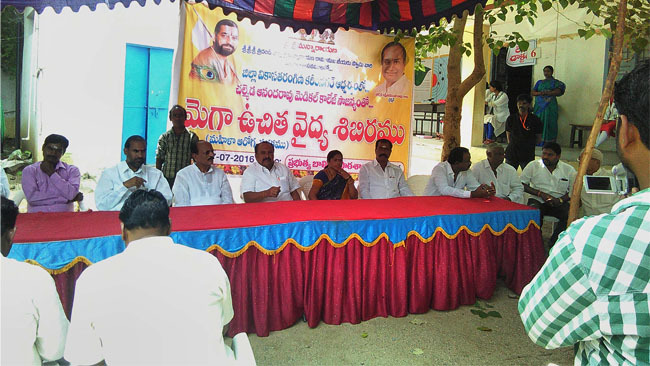 This camp was sponsored by Prodhuturu Sadananda Reddy Trust, Nizamabad. After the tests some of patients who tested positive, were sent to Manoramo Hospitals for further treatment. Few patients from the previous camp were also sent for a follow up diagnosis and treatment.